The cosmetic method of treating for fat removal and substantial reduction is made possible with Liposuction as a concept which is also the basic procedure in this spectrum. With time and more innovation in this field, the techniques used to perform Liposuction have improved and the same can be evidently reflected through Vaser Liposuction. Since it is time-tested and also a highly successful procedure, it is of course time to go beyond basic Liposuction to benefit from advanced range of Vaser techniques and procedures. There are handful of advantages with Vaser Liposuction offered at our Sheffield Clinic, affordability and maximum comfort are among the most noted advantages while the possibility of reviving your body remains the major benefit. 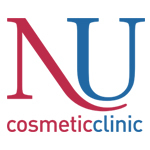 Though it may seem to be an exaggeration, the truth about Nu Cosmetic Clinic would remain unchanged that it is all about you. The objectives, treatment definitions, facility management and implementation of various procedures are completely targeted to provide a comfortable environment and finest possible cosmetic solutions for you. We ensure there is attention to every single detail and everything is diligently handled and managed by the experts of respective professions. When we offer Vaser Liposuction as a recommended treatment solution, we ensure it has an overall positive impact over your body shape and structure. 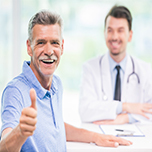 Your satisfaction and comfort levels are important to us and we have adopted treatment practices, protocols and other relevant polices in a customized way to suite various specific patient demands and preferences. Our cosmetic clinic at Sheffield has a different outlook and impression about Vaser Liposuction and we want to do our best to ensure we provide care, support and guidance that is much more than the basic treatment. 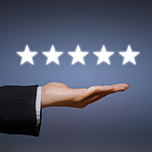 We attribute all our top ratings which are also consistent to the work ethic and dedication we showcase, only driven by patient benefits from time and again. At our Sheffield Clinic, core objectives always drive us to excellence and we continue doing our job of transforming you, irrespective of the limitations we may face from time to time. Amidst all of our commitment and dedicated patient support programs, we are often motivated by encouraging testimonials we receive from the patients and many others who have benefited from Vaser Liposuction in Sheffield. When we analyze the inflow of regular testimonials, we could easily decode a pattern which takes us back to the approach we follow at our clinic. We excel at consultation and patient counseling with an open ended approach, allowing you to occupy the driver’s seat. The specialty experts facilitating Vaser Liposuction therapies at our Sheffield Liposuction Clinic are known and remembered for their qualifications and expertise. Mr.Gabriele Borghini, our expert in the area of Cosmetic and Plastic Surgery procedures is popular to be quite patient friendly as he always carries a positive and graceful attitude while interacting with his patients. Our clinic is open between 9:00 and 17:30 during the weekdays. We are also available during weekends and late weekdays for special consultation sessions. Conveniently located in the center of Sheffield Medical District, our clinic is situated on 24 Wilkinson Street, Broomhall, South Yorkshire. Car park shouldn’t be a problem because we have eighteen car parking spaces dedicated for patients. You will be welcomed with elegant and most contemporary clinical environment.